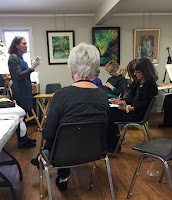 Nancy Nowak's "Ungreening the Landscape" workshop was a huge success. 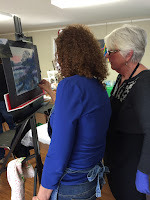 Eight RFAA members and guests enjoyed two days of non-stop learning as Nancy discussed how pastels can be used to create landscapes full of a variety of colors from boring all green reference photos.Beginning with an explanation of the best way to compose from a reference photo and moving on to a full demonstration from underpainting through the entire process to a beautiful finished landscape. She even showed students how to frame their works. Once her demo was completed students began their own pastel works. "Her talent is exceptional and she is willing to explain in many different ways." Nancy is "very caring and sharing and gave us just enough help" were comments given by participants. The workshop culminated with a positive critique of each student's work that sent them home with ideas to continue what they had already learned. 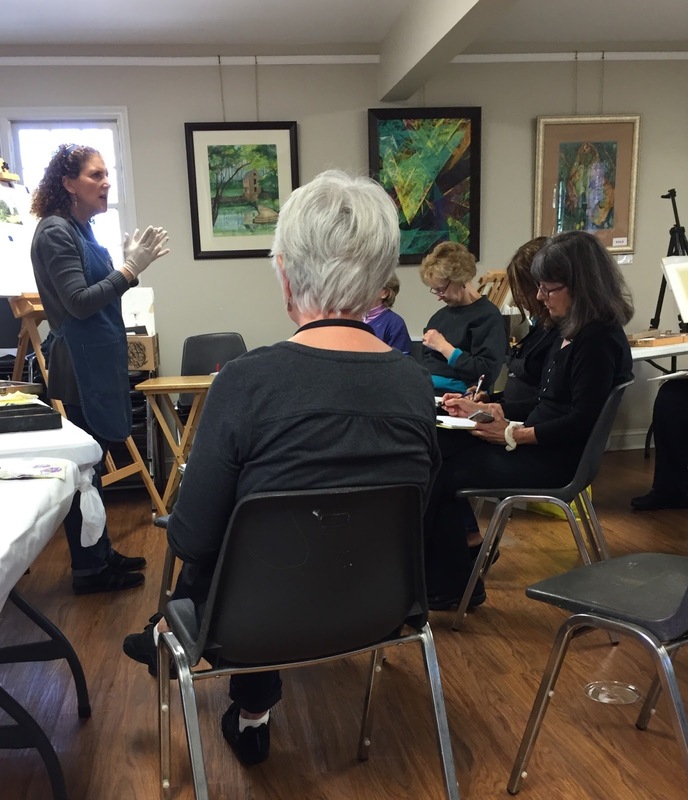 RFAA is grateful for being able to provide such a meaningful workshop from one of Atlanta's best pastel artists.